Tunisia is a small country and the coffee consumption is concentrated in urban areas with traditional lever machines using gas. 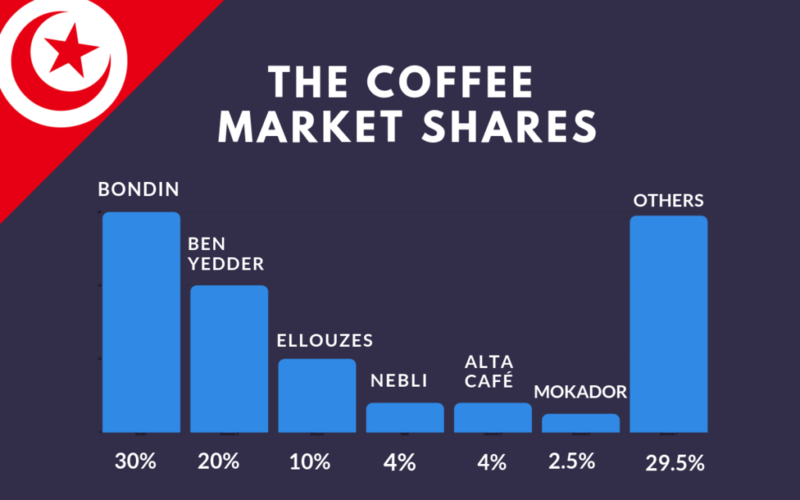 Three historical roasters are present on the market with more than 50% of the market share. 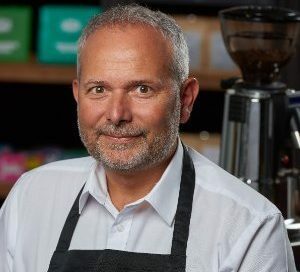 OCT (OCT: Office du Commece Tunisien) is buying the coffee for the roasters and selling at a constant price maintaining a ratio of 65-70% Robusta and 30-35% of Arabica. The price of an espresso at a Café is very low and does not allow to push for quality. 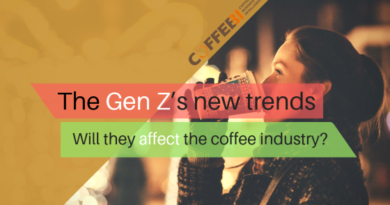 Nevertheless, new young roasters are trying to open high quality coffee shops in order to propose much better espressos and training baristas to offer the best service to their clients. Education is missing as well as the big international coffee players. They could help the market to go to a higher quality. Opportunities are present there, most of them in terms of coffee education. The Ministry of Commerce (OCT: Office du Commece Tunisien) is controlling the coffee import in Tunisia. 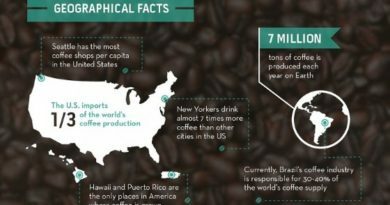 They buy coffee based on the internal market, but in the last few years most of the coffees were from Vietnam and Brazil. Some coffees from Uganda, Kenya or Congo were also available, but only in limited quantities. The coffee is sold to the roasters at the same prices whatever it is: around 2€/kg. Most of the roasters propose a blend composed of 65-70% robusta and 30-35% Arabica.So the famous 70-30 rule, but inverted! Big roasters such as Ben Yedder, Bondin or Ellouzes propose single origins from Guatemala, Ethiopia or Kenya. Annual consumption: 30’000 tons per year (= 2.5 kg/year/capita). 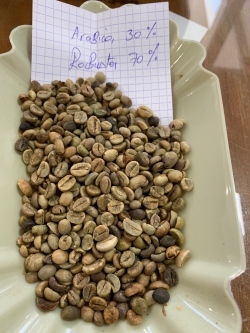 Around 250 roasters are present in Tunisia as roasters and micro-roasters. 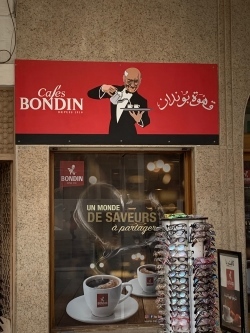 Coffee is very popular in Tunisia and very cheap! It costs less than 1 dT (<0.30€) for an espresso. At this price level, the opportunity to offer high quality coffees is limited. You can drink coffee in bars and Salon de Thé where international brands are present (Illy, Segafreddo, Lavazza, Kimbo or Cafés Richard). The cost is then much higher and can reach 1€ for an espresso cup. “Cafés” are the popular and traditional locations while “Salons de Thé” are more for middle and upper classes where international brands are well represented. A difference exists between Tunis or Sfax and the rural area. In the capital Tunis, coffee machines are the new ones and good barista practices are more or less present. Latte Art is rarely an option when a “Direct” is served. Conti machines, most of them with levers, as well as Cimbali, are present in Tunisia. Gas is mostly used to heat the boiler, especially with the Conti ones. Nuova Simonelli, San Marco and La Spaziale are also well represented in this country with distributors or agents. Grinders are, in most cases, the Santos ones with dosing chamber. Only a few café’s are using the on-demand grinders. Curiously, a lot of Café’s are buying ground coffee instead of whole beans for their grinders. The espresso culture is still not present in Tunisia and one example is the strange use of grinders. Actually, they grind the coffee beans and put the ground coffee in a big bowl and, then, they take a spoon to dose ground coffee on the porta-filter! Barista education is missing and a lot has to be done to educate the baristas. No Starbucks, no McCafé, no Nespresso distribution, so the big coffee players are totally absent on the Tunisian market, at least officially. 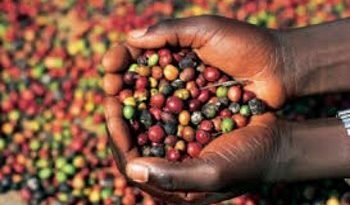 Those brands have the capability to educate the consumers and propose much better coffees and more diversity. So, the absence of these multinationals does not allow Tunisia to taste the best coffees in the world. They will remain with their 30-70 rule in agreement with the government. We all hope to have this coffee market developed soon. Are you approaching the Tunisian market or you need to extend your business? 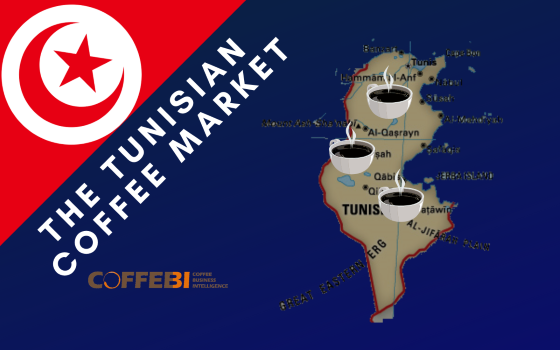 Reserve a tailored report on the Tunisian coffee market.